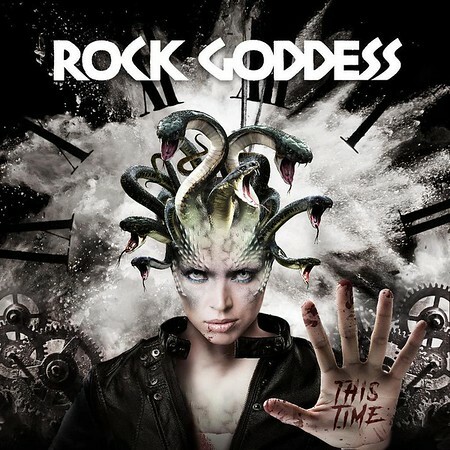 “This Time” is the new album from Rock Goddess and it was released on 1st March on their own label Bite You To Death Records. The album release follows the release of an EP in 2017 which was the first new music from the band in thirty years. I was a big fan of the band back in the 80’s and some of their early tracks were included on the first Friday NI Rocks Shows back in 2010. Their 2017 EP “It’s More Than Rock n Roll” also got quite a bit of airplay and so far two tracks from the new album have featured on the Show – “Are You Ready” on the 1st February and “Why Do We Never Learn” on 15th March. Another track, “Calling To Space” was featured on the NI Rocks A-Z Show on 12th February. In the mid 80’s ECT was essential viewing for any rock fan and it featured all the best British rock and metal bands of the period live on stage. I can remember seeing Rock Goddess on the show in 1985! By that time, the band had released two albums – both in 1983 – “Rock Goddess” and “Hell Hath No Fury” (both of which my brother had and I of course copied onto cassette! I did buy them on iTunes again years later!). The band was formed initially in 1977 by sisters Jody (on guitar) who as thirteen and Julie Turner (on drums) who was only nine! They brought in school friend Tracey Lamb on bass. It was that line-up which signed to A&M in 1982 and recorded the first album in 1983. Lamb then left and was replaced by Dee O’Malley for the second album. Then in 1986 O’Malley was replaced by Julia Longman and the band released their third album “Young And Free” (which featured O’Malley on bass) in 1987, before splitting up! Jody Turner reformed the band for a short period in the mid nineties, but it was 2013 before the band reunited properly with all three original members. The EP “It’s More Than Rock n Roll” was released in May 2017 and featured three tracks. In July 2018, Lamb left the band and was eventually replaced by Jenny Lane, however the new album “This Time” includes the bass recordings done by Lamb.